It won’t have escaped your notice that we have had quite a bit of sun this summer. Of course, this means that we are spending more time in our gardens than we are used to, and then it becomes of so easy to see the things that aren’t quite right or could be improved. 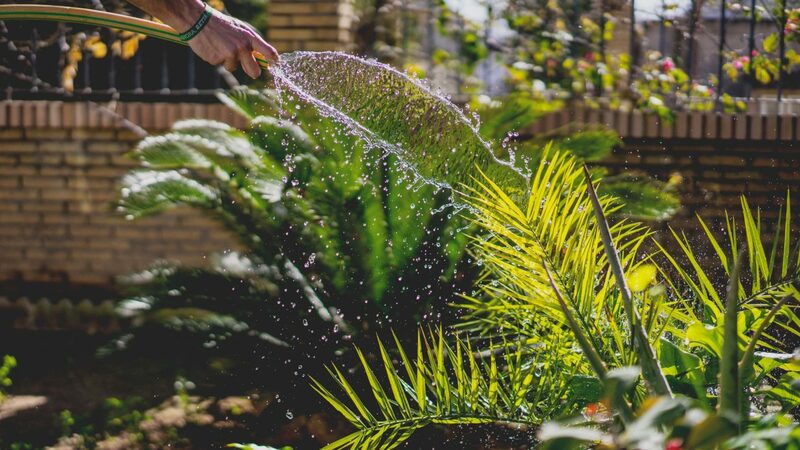 Luckily, this post can help you with your garden conundrums, so sit back, grab a cold drink, and read all about how you can make your garden worthy of this glorious weather we’ve been having. One of the most significant problems that gardeners are having right now is keeping their lawn and garden from being burnt to a crisp. Of course, no one wants crunchy brown grass, as it doesn’t look pleasant and is not great to sit on either. To that end, it can be useful to feed and water your lawn regularly with a hosepipe, as long as there is not a ban currently running in your area. Although, it is best to do this at night, so the water doesn’t end up heating burning your pants and grass during the day as it evaporates. A garden that is worthy of this glorious weather will definitely have a seating area, which you can kick back and relax as a family in. Many people think these are expensive and difficult to create, but this is just not the case. In fact, if you use garden furniture like outdoor bean bag chairs that you can move both in and out of the shade at will. Something that can make it a lot safer and more enjoyable to sit outside when it’s warm. You can even get around the problem of the grass getting damaged by garden furniture as it’s easier to move to them another place, making such seat the perfect choice for enjoying the warm weather and ensuring your garden still looks its best. Lastly, in the hot weather, there is nothing better than to have a place in which to cool off. For many families, this is a small inflatable paddling pool, which even the adults are known to use to dip their feet in from time to time. Although, don’t forget me that there is also the option of installing a large above ground pool. One in which the whole family can sit in and enjoy during the blistering heat. One way that you can give your garden a quick and relatively cheap facelift that will make you want to spend more time outside is to inject a bit of colour with flowing plants in tubs and containers. The good thing about growing plants this way is that you can move them around and into the shadier parts of your garden when the weather is balmy. Therefore helping them to live longer and lengthened the amount of joy they will provide for you in your garden during the sweltering summer months. What tips do you have for making the most of your garden in this weather? Outdoor beanbags are a great suggestion! I’d never have thought of that.